I set a goal of Father’s Day to finish this commission project, made from the suit jackets and pants of my customer’s father-in-law. I finished it Saturday, the day before Father’s Day and delivered it to the happy customer the following day. 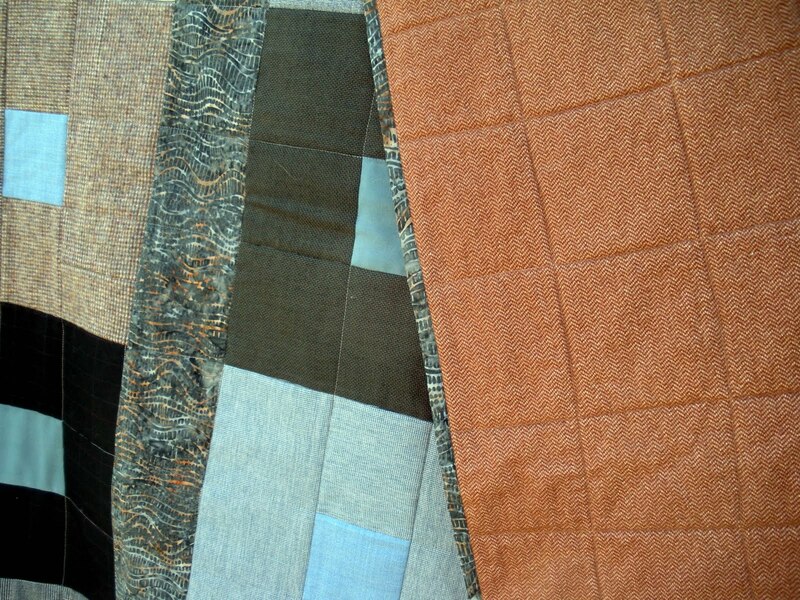 I considered many different options for quilting, but decided on a straight line grid, echoing the lines of the blocks themselves. 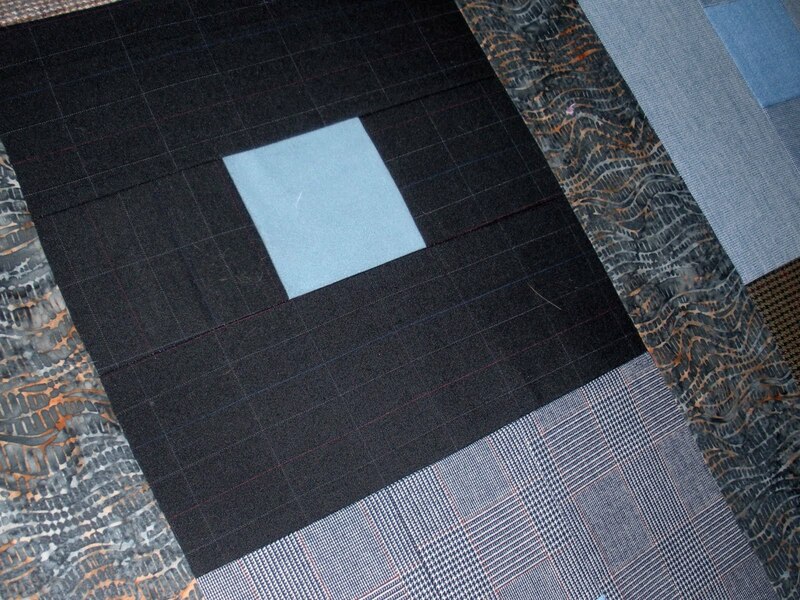 I used a grey/slate variegated Aurifil thread on top, that seems to compliment the colors of the quilt just enough. 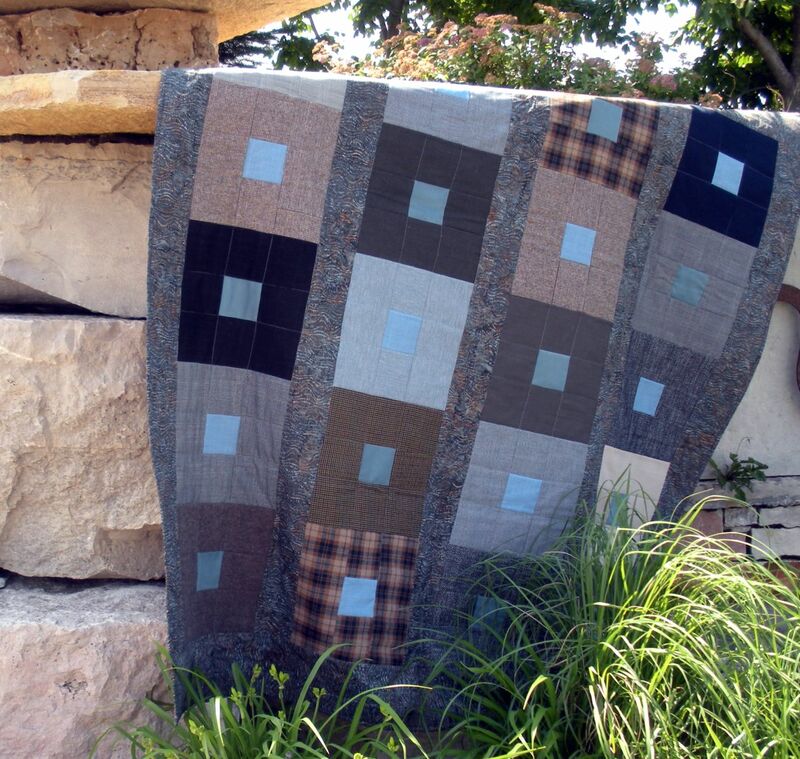 When I delivered the quilt, the new owner immediately carried it into the formal dining room (that had served as her FIL’s bedroom before he passed away) and threw it over the back of a large, stuffed, rust leather chair–where it will live. It looked like it had been made for that spot, and I’d never even laid eyes on the room before that moment. That is an absolutely stunning quilt, Doris. 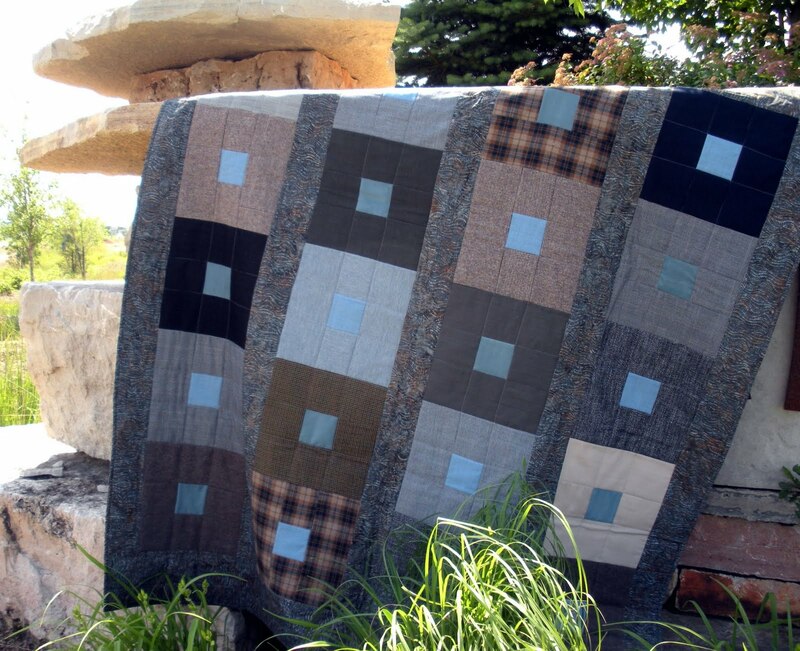 The best “masculine” quilt I've ever seen. Well done! I've been looking for ideas to use with men's clothing. This is perfect! Really stunning. Doris, that is such a beautiful, manly quilt. Love it! Makes me want to snuggle up with it! Love it! Love it! Love it! 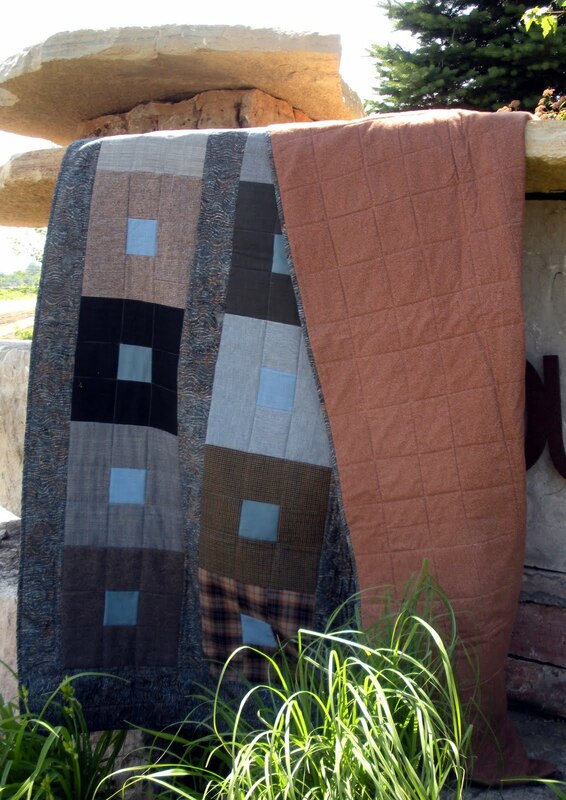 Cool idea for a quilt! I bet it was fun cutting up suit jackets and pants. It looks so warm and cozy, perfect for a winter day in the midwest. I'm sure your customer loved it! How fantastic Doris…..his hand was on you as you made it, I bet!!!! I'm sure he'll love it (from afar) and so will his family. It turned out absolutely beautifully. Love it… Certainly suits a man. Is it a pattern or have you got the measurements. I'd love to make it out of old flannel pj's I have. Really well done, Doris. You certainly made those suits look good, and the straight-line quilting reiterates the masculinity of the fabrics and design. I nearly teared-up to know it seemed to be meant for the room in which it will live. Excellent work!